When you hear the term how to start a home based business one almost immediately starts to think of online opportunities, which is quite natural with all the e-mails and spam you seem to see on the internet advertising how you can make a million in a year, working 4 hours a day. There are many easy home businesses that quite a few bloggers and internet marketers who are making a small fortune from on the internet, but it didn’t come over a few months. They will tell you themselves it was a lot of dedication, motivation and patience. The easy part is that you don't need a lot to set this business up, just a lot of motivation. 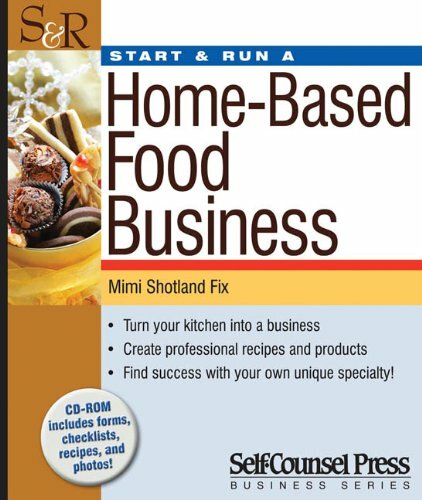 Besides the wonderful world of the web there are many more home-based business ideas. There is so much more you can do from home and the advantage of having a business at home definitely outweighs the disadvantages. There is always the thought that your personal life will get in the way of your business. You will have to take care of your baby when you are trying to do your paperwork. People seem to think that if you work from home you are not professional and you don’t have a schedule. This requires self-discipline and strict routine. This is why it’s important to have the right environment, where business is separate from family life. Friends and neighbours should know your business hours just like an office where they can’t stop in for a quick cup of coffee. Your business should be equipped with phones, faxes and a computer which is set aside separately from your home. If you are a mom make sure you have a support system so you don’t have to run off and do lift clubs or shopping. It is possible to start your business off with limited capital. This is probably the major concern with starting any business. Because you are working from home it covers your rent which is usually the biggest worry for any business owner. Make your own business cards, pamphlets and logo. Do all your own paperwork, such as financial statements and records. Make a video of your product or service and put it on youtube and on your website. Post messages on the forums, write articles on different sites on the internet and talk to as many people as possible about what you are doing so that it also develops by word of mouth. The internet is a massive marketing tool as mentioned before so you have to make use of it. Create your own website and advertise your product or service. Submit your website to directories, social bookmarks to gather traffic to your site. Before you get going you will have to find out what kind of home-based business you would like to go into. Sole proprietorship, which is a one man show and is good if you enjoy working by yourself. The bonus is that you get to keep all the profits, but it is also a lot more planning and work for you to do. Partnership, If you like working with someone a partnership might be a good idea. Company, the third option, which is a the slightly bigger operation. You will have to find a name for your business. Careful thought and planning will have to go into this process as the name of the business might last a life time. The name should be catchy, but not too long. You will have to register it as well. A noisy business such as using heavy duty machinery might upset the neighbourhood. These are things you have to think about. If you are going into the catering business you might have to have your kitchen evaluated by the health department. It may sound like a lot of work to get all the paper work together and the expenses for a formal business can be something that can put many people off. If you want to just get your feet wet and try out something from the comfort of your own home - or coffee shop! - here are a few suggestions. Become a freelance writer - you can start by exploring opportunities on writing sites such as hupages. However, you can also get payment upfront on iWriter and yahoo as well as many others, such as elance and Guru. Fiver.com - I'm sure you have heard of this site before. Basically, you can do anything from singing happy birthday to someone in a banana suit to analyzing a website - yes, people will buy anything it seems. The best thing is to identify your gifts and talents - so if that is graphic design then start a website or advertise your services on web 2.0 sites. There are many opportunities for programmers. Write an eBook - this is really suited for someone who loves writing. However, if you are good at marketing then you could start a publishing business once you find a niche. Blogs are not dead! - It is just more difficult to make money because you have to produce killer content, which not many people have done in the past. You really have to work at this, creating articles that are not only unique but really stand out. You also have to find a way to promote your blog and beat the competition. 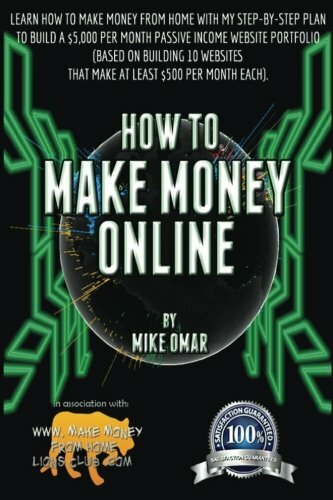 There are so many more ways that you can make money from your computer - test, experiment and find something that is right for you.